So I wanted to get these up before the time passes; they’re beyond easy to make and simply divine! Kosher for Passover Macaroons that are delicious all year long! I’ve neer made a cookie that required less work! So easy! And only 3 ingredients to boot! Obviously, Passover is such a big hitting holiday for all of our dessert favorites – dry unleavened cakes, cool-whip-raspberry rolls, and chocolate covered matzah! Well, to be honest, I really do love dark chocolate covered matzah but that’s besides the point. Anyways, despite the variety and delicious selection of desserts at our fingertips, plus I can only take so many years of Manischewitz packaged macaroons, I decided to give them a try. I doubled the recipe in hopes of satiating my sweet tooth for the full 8 days; unfortunately they dried out slightly after a couple days but still tasted delicious! 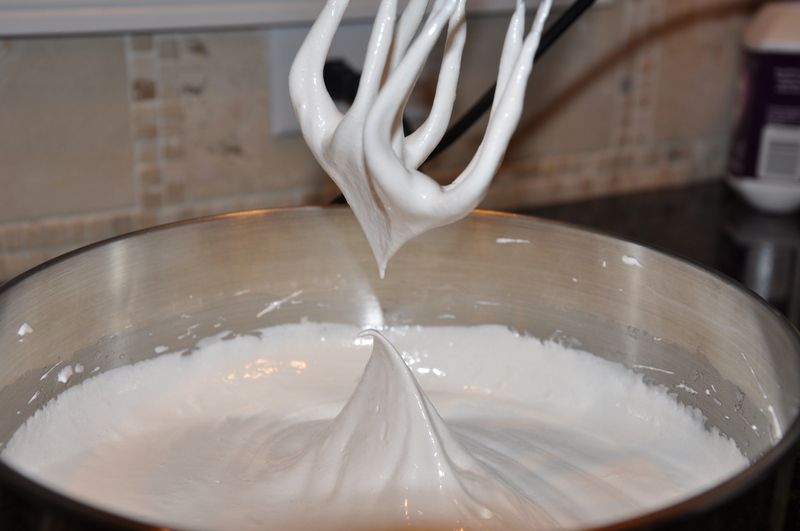 Whip the egg whites into oblivion. Well, not oblivion; beat until fluffy – then add in the sugar and vanilla and beat until stiff peaks form. 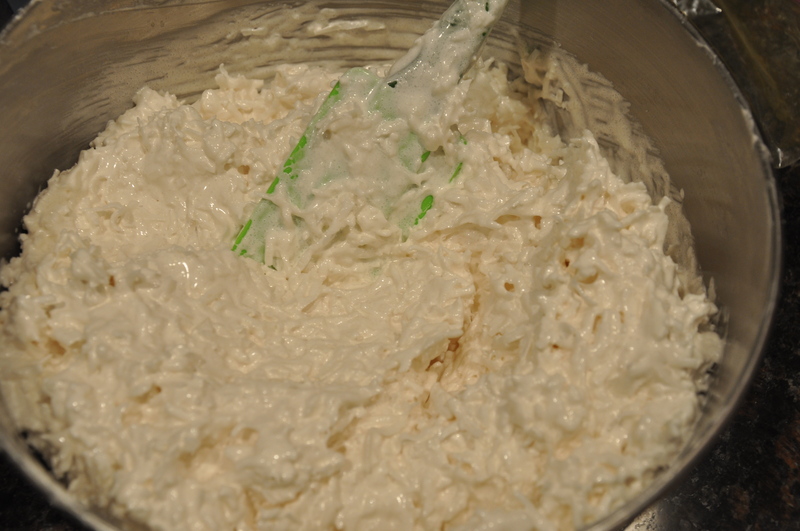 Mix in the shredded coconut by hand until the consistency is mostly coconut. I had to keep adding coconut until I found what I wanted- it was about 8 cups. Ready to form into cookies! 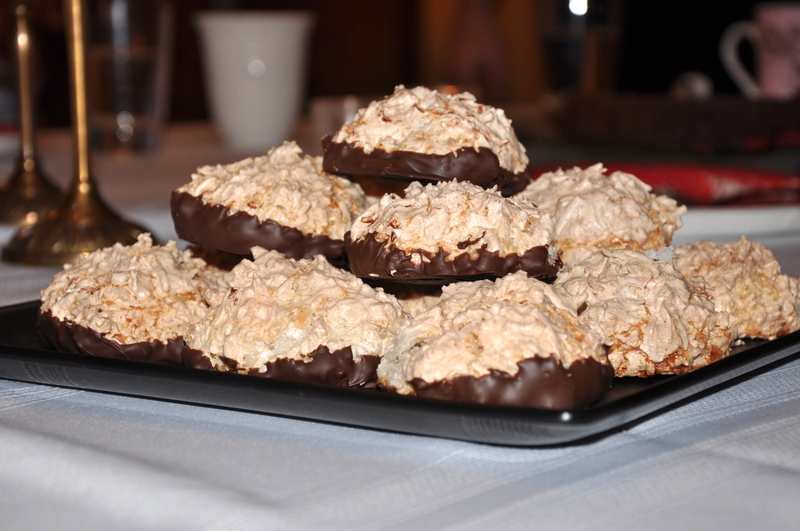 We LOVE coconut in this house; and also chocolate, so it’s no surprise that I covered the bottoms of the macaroons with chocolate! 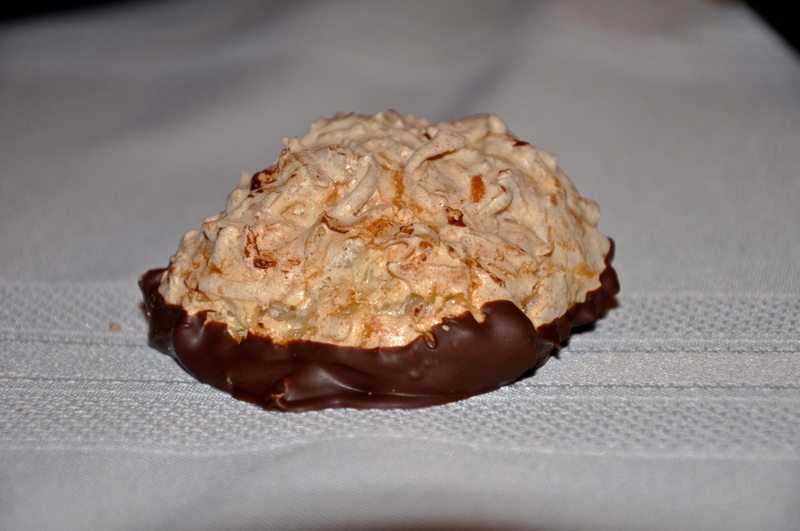 Hope that everyone else’s passovers have been going well; and if you’ve never had a macaroon, give them a try! They’re delicious! Only a few more days! Thanks so much! Can’t wait to check and see! This has never been a favorite cookie of mine ~ but you sure made them look good! 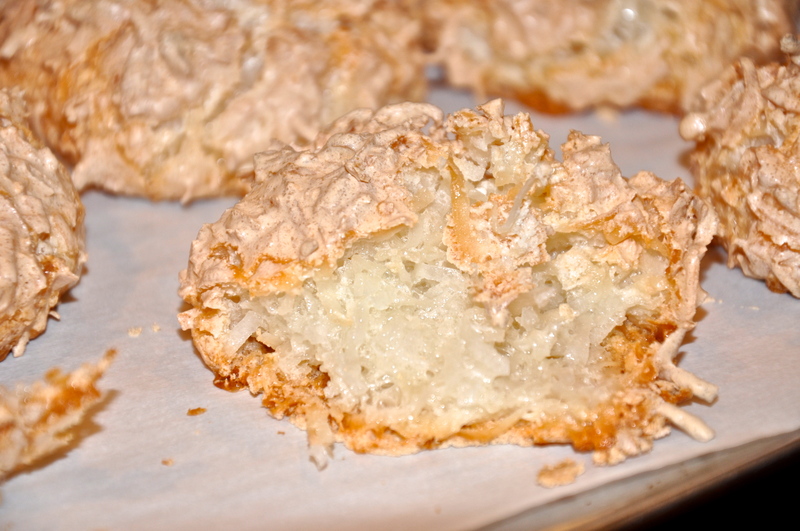 Trust me – macaroons were definitely all the way on the bottom of the list of cookies – but these are so yummy! Thank you for linking up at the Pinterest Power Party! !